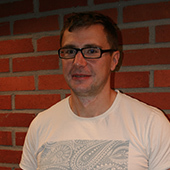 Dmitriy’s work is connected to the development and maintenance of the infrastructure for large scale numerical simulations in the frame of the Eurofusion project. The aim is to develop simulation infrastructure for future fusion projects like ITER and DEMO. There might be more projects where Dimitriy Yadykin participates, but you have to be logged in as a Chalmers employee to see them.